Braiding is a time-honored skill known by horseman and cowboys for the many centuries that people have been in partnership with horses. Cowboys have traditionally used many different kinds of materials including leather, rope and more recently paracord to create all manner of tack for horses. 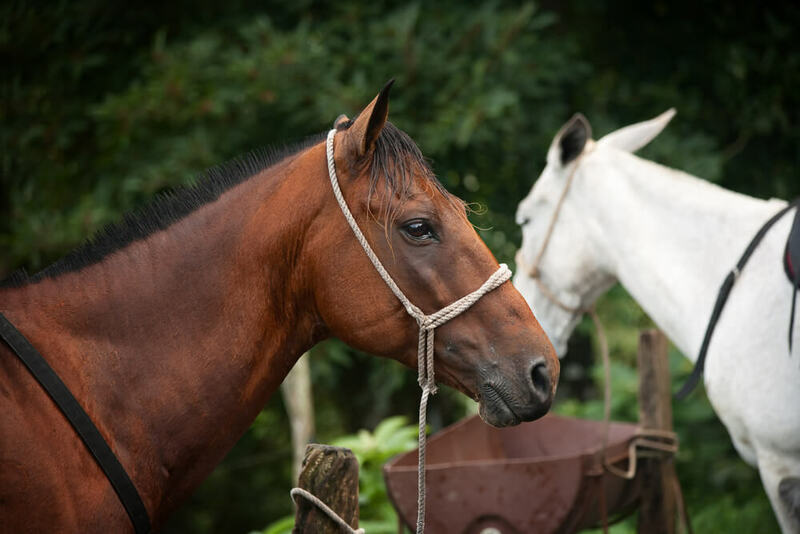 In this article we discuss the art of braiding and the popular craft known as paracording and share resources to help you learn to use these skills to create tack for your horse. Read on to learn more on how to make horse tack out of paracord. 2 How Do You Create Tack Using Para Cord? 3 How Do You Braid? 5 What Kind Of Horse Tack Can You Make? Paracord is extremely strong, light weight synthetic rope that was originally used to secure parachute suspension lines. This thin, versatile rope comes in a wide variety of beautiful colors and is very popular with sportsmen, survivalists, crafters and equestrians. It can be used to create lots of different practical and fashionable items. Practicing making some small paracord projects can help you become comfortable and confident in creating safe, good looking tack for your horse. Check out a few simple projects here. How Do You Create Tack Using Para Cord? Begin by taking precise measurements and then gathering an ample amount of the colors of paracord you need to create your project. Additionally, understand that most items of tack will also need hardware such as shanks, buckles and clips. Take note of the items you need and be sure that you have all your materials together in one place before you begin your project. Remember that when you braid paracord, you’ll need about twice as much paracord as the length of the actual measurement. Braiding naturally takes up quite a bit of the length. Braiding tack is a project you want to finish in one sitting. It’s difficult to leave your materials lying in wait. So be sure that you give yourself plenty of time to complete your project from start to finish. There are many different styles of braiding, but simple three strand braiding is the easiest and most often used. To create a simple three strand braid, secure the ends of your material by melting, clipping or tying them together. Attach the end of your materials to a sturdy, stable object so that your braiding will end up smooth and attractive. For a three strand braid, you can make a thinner rope by using three single strands of paracord. If you want a thicker material, use six or even nine strands. Here is a video that shows how to create a simple, three strand braid. Four strand braiding is also easy and makes a nice variation. There are many different ways to braid and weave paracord for a vast array of attractive results. For ideas and inspiration, visit this paracord dedicated YouTube channel. Another very important thing to understand about creating your own sturdy, durable tack using paracord is that you must be able to tie a good knot, and you must know about several different types of knots. It’s a good idea to review knot tying techniques and do some practicing before you start trying to create any sort of tack. It’s very important that your materials are secured together in a dependable manner and that all of your knots will stay in place while you are riding and working with your horse. Here’s a handy PDF from the Boy Scouts of America. What Kind Of Horse Tack Can You Make? 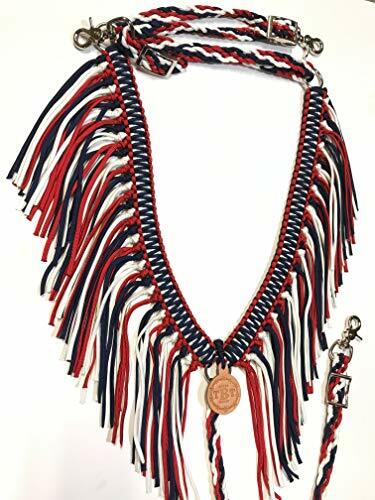 Tack items can range from simple, utilitarian braided ropes to extravagantly elaborate and elegant ornamental gear adorned with beads, feathers and other bling. Let your imagination be your guide when choosing the type of tack you want to create. Follow that up by taking precise measurements and then seeking out specific instructions and videos to help you create the item of tack you have in mind. Creating tack by braiding paracord is not difficult, but it does take a bit of study and a bit of practice. It’s a good idea to peruse the many available instructional videos that provide specific step-by-step instructions and patterns for any type of tack you might wish to create. It’s also a very good idea to study different types of knot tying, practice and become proficient before you begin. Honing your skills at braiding, knot tying and following specific step-by-step instructions will save you a lot of frustration and help you to create attractive and safe tack to use with your horse.